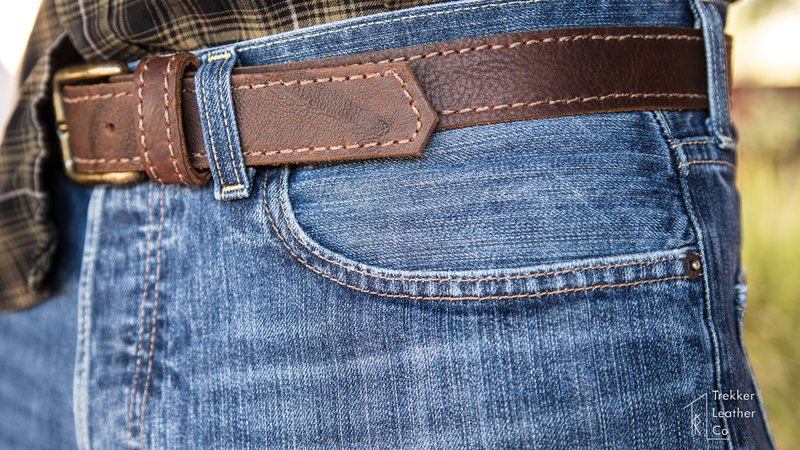 Heavy duty and easily fashionable. 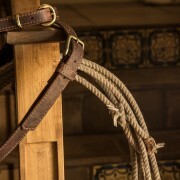 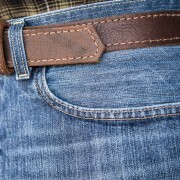 The “Bear Belt” is two strips of our exotic kodiak leather that we stitch together with our Tippman Boss Handstitcher. 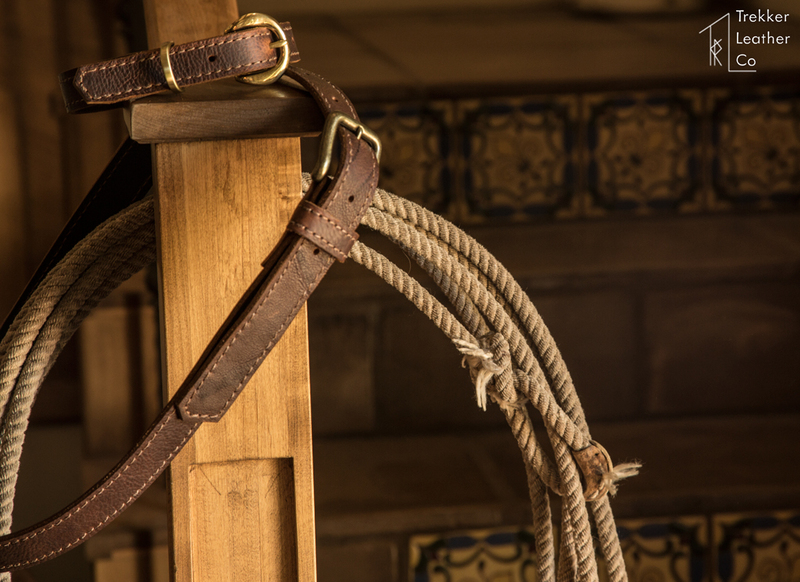 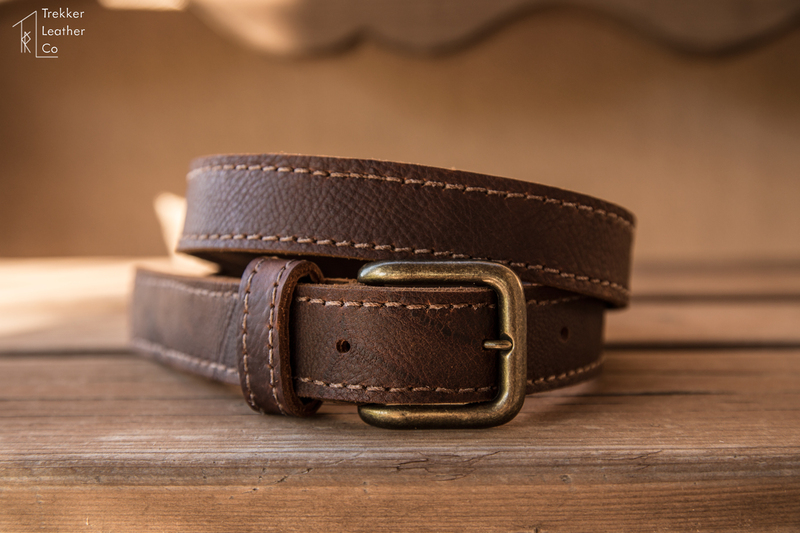 Each belt is given the attention to detail that creates a leather belt that will hopefully last as long as you do. 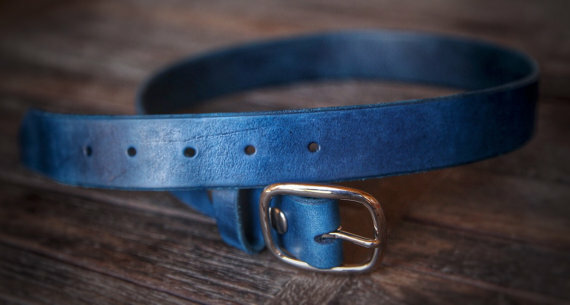 Of course, we have a warranty on our belts for the first three years, so if anything is ever wrong with it, you can always contact us, and we can help resolve whatever issue you may have encountered. 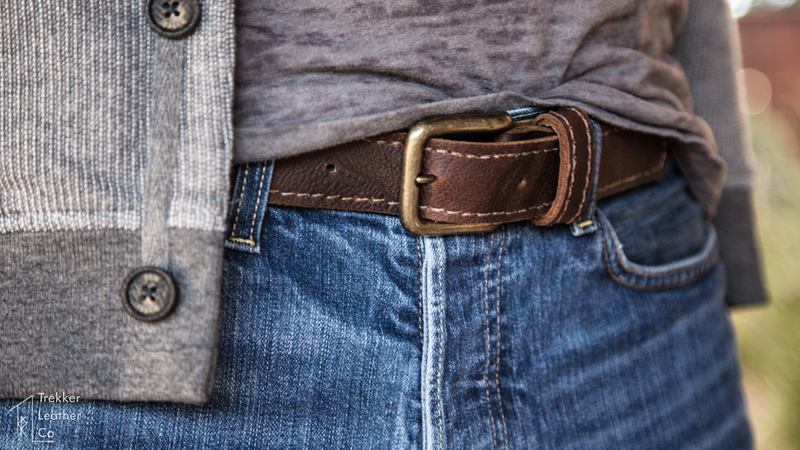 We typically will rivet the belt buckles into place, so we can guarantee durability, but if you are interested in snap buttons, so you can interchange your own buckles, let us know, and we have a few great solutions for this need. 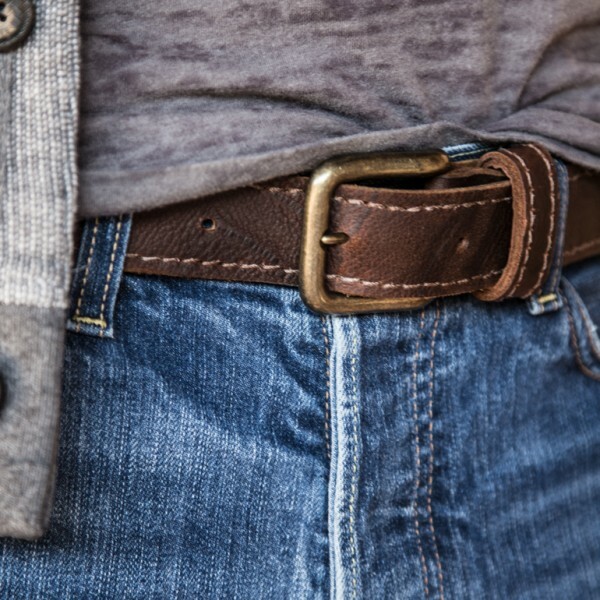 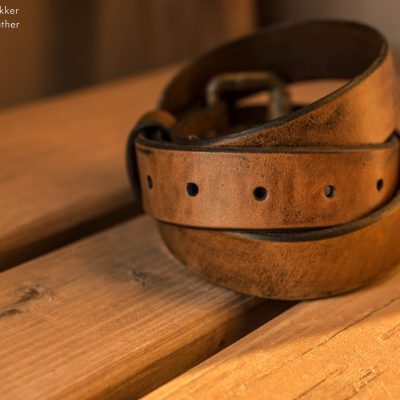 In-case you are unsure about what belt size will be right for you, measure the distance from where your current belt connects to the buckle (do not measure the buckle) to the hole you normally wear your belt. 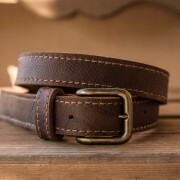 Another easy rule of thumb is to add 2″ on to your pant size: Personally, I am in-between a 34 and 36, which means I typically make a different kind of fit for my belts, and if you have that issue as well, by all means, let us know, and we can get you any sort of custom dimension you need! 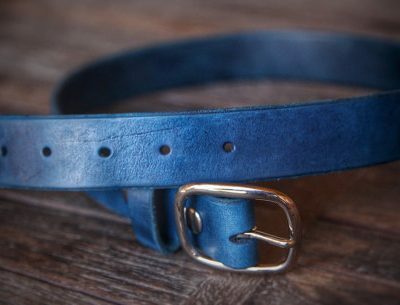 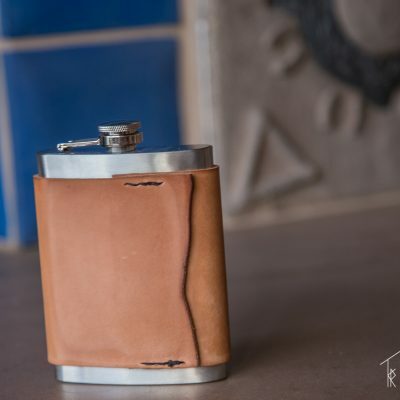 For all custom orders, you can contact us at trekkerleatherco@gmail.com or you can contact us via our Etsy Store as well! 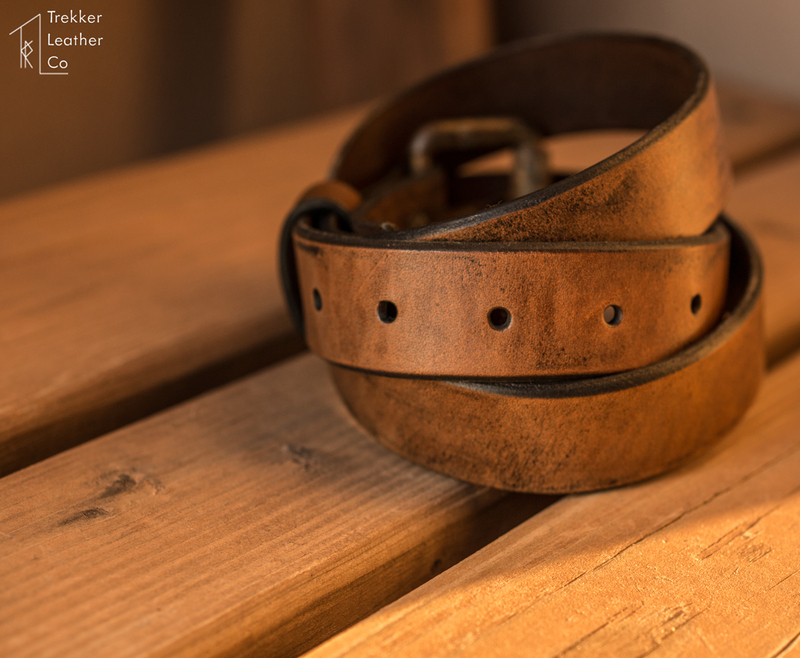 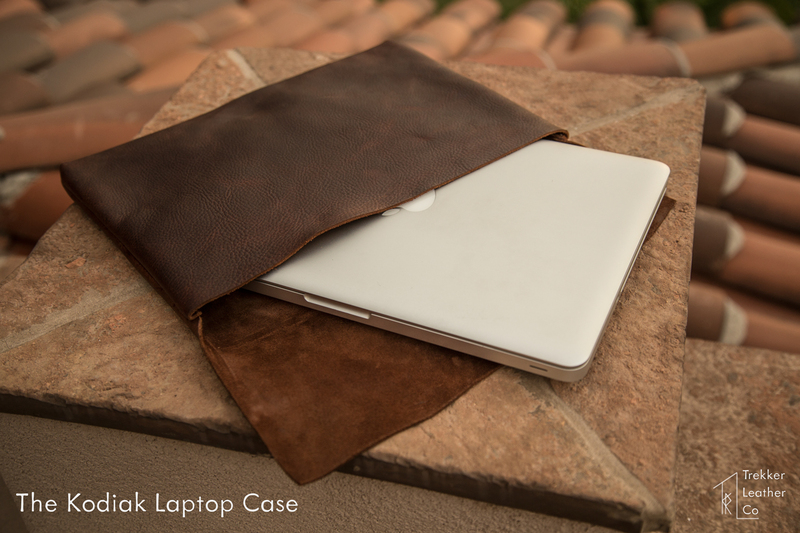 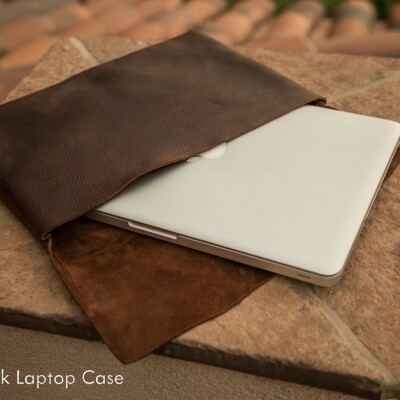 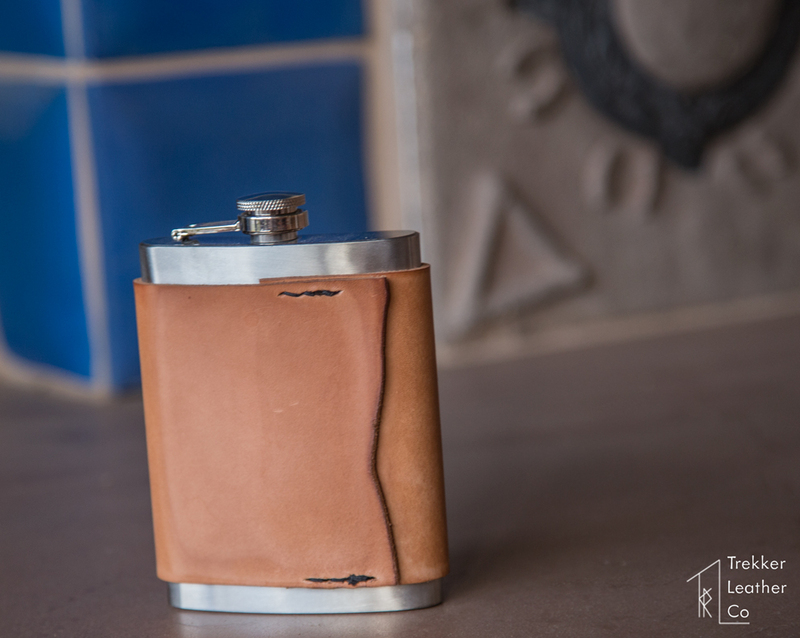 © Copyright Trekker Leather Co.